The NBM Design program is an umbrella that organizes a number of separate small projects which in turn are gathered under three main areas. The program has a Steering committee (NBSC), a Balancing Development Group (BDG), a Program manager (PM) and a supportive Program Management Office (PMO). 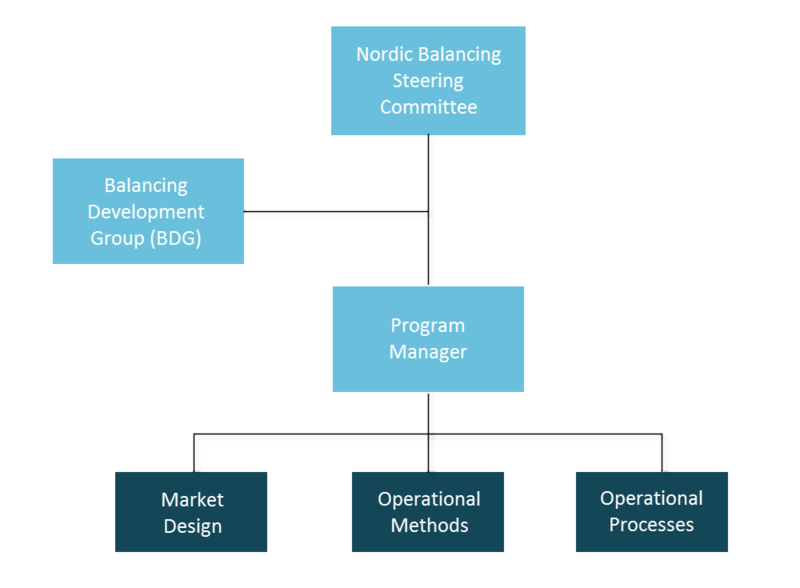 The NBSC is the strategic and ultimate decision-making steering committee of the program. The BDG is the operative steering group with mandates that are delegated to them by the NBSC. The Program Manager is responsible for the execution of the program and for reporting to the NBSC and the BDG. The projects will be divided in three main areas securing efficient initialisation of new projects within the area.